As heard during Ken Ralph radio interview last night: CC’s 2013-14 nonconference schedule includes games against Air Force, Clarkson, New Hampshire, Providence and Wisconsin. The Clarkson games are on the road in return for the Golden Knights’ trip to Colorado Springs earlier this season. No further specifics were mentioned. Future dates including Boston College and Boston University and “a couple Big 10 teams” are also in the works. Future dates could include a couple East Coast trips when CC would play one Hockey East or ECAC team one night and another the next, Ralph said. The Tigers have four more nonleague dates to schedule since the National Collegiate Hockey Conference, which begins play in October, uses a 24-game format. 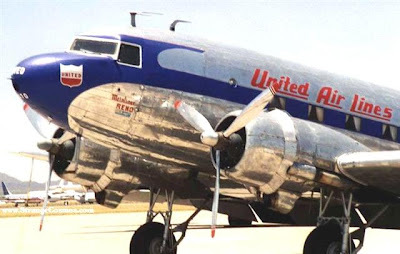 CC will continue to coordinate with Denver as well as it has in the past. An example would be the New Hampshire and Yale games this past Thanksgiving weekend when Yale played at DU on Friday and visited CC on Saturday. Ralph also said CC is working to schedule nonconference games with Alaska-Anchorage including road contests. As play-by-play man Ken Landau pointed out, it is easier to fly to Anchorage than Houghton, Mich., which usually involves a flight to Duluth followed by a lengthy bus ride. Former Tiger Tom Preissing, who played for EHCB last season, signed with Biel and went through a tryout with the German league team last weekend. I will update his status when I stumble across it. Thanks to Tim Matthewson for finding this article and to Google translate. The monthly Scott Owens radio show is at 6:30 p.m. Tuesday at McCabe’s Tavern, downtown Colorado Springs. Here are three observations on this weekend in the WCHA, including a note on CC. Hockey East’s standings are tightening up. The CCHA goaltending was quite good while the Hobey Baker race is underway. Here are more details from No. 2 Minnesota’s home win over Minnesota State. AIR FORCE ACADEMY, Colo. — Holy Cross scored three goals in a little more than 10 minutes during the second period to rally past the struggling host Falcons (1-3-3, 1-1-1 AHA). Holy Cross moved into first place in the AHA with 3-1 record (4-1 overall). Holy Cross outshot Air Force, 43-28, in the game. The Crusaders outshot the Falcons, 43-19, in the final 47 minutes. With the NHL Winter Classic scrapped, the Great Lakes Invitational is moving back indoors. Here is a feature on Minnesota forward Tom Serratore. North Dakota is likely to lose a commit to Canadian major juniors. No. 10 Union beat RPI but may have lost its captain for a good while. No. 9 New Hampshire, CC’s foe on Nov. 23, lost at UMass. A Canisius player is suspended for seven additional games for a hit that injured an Air Force player last Thursday. BIG RAPIDS – Sophomore goaltender C.J. Motte blocked all 25 shots he faced as Ferris State shut out Miami, 3-0. Freshman defensemen Brandon Anselmini and Connor Schmidt each potted a power-play goal, while sophomore forward Justin Buzzeo added an even-strength marker for the Bulldogs. For the Redhawks, freshman goaltender Jay Williams made 28 saves in the loss. SOUTH BEND – Senior forward Dane Walters’ two-goal performance led Western Michigan past Notre Dame, 3-2. Broncos’ junior forward Chase Balisy added a power-play goal and an assist in the contest. Notre Dame sophomore forward Anders Lee finished with a goal and an assist, while sophomore defenseman Robbie Russo added a power-play goal. Junior forward Jeff Costello tallied a pair of helpers for the Irish. Broncos’ sophomore goaltender Frank Slubowski stopped 35 shots in the win, while Notre Dame junior goaltender Steven Summerhays made 22 saves in the loss. MARQUETTE – Senior forward A.J. Treais scored with one second left in regulation, and had the lone goal in the shootout, to give Michigan a 4-4 tie/shootout win against Northern Michigan. Sophomore defenseman Mike Chiasson and senior defenseman Mac Bennett each tallied a goal and an assist. Junior forward Kevin Lynch added the other goal and freshman goaltender Steve Racine stopped 24 shots for the Wolverines. For the Wildcats, freshman forward Cohen Adair finished with a 1-1-2 scoring line. Junior defenseman Wade Epp, junior forward Erik Higby and sophomore forward Ryan Daugherty each had single goals, while junior goaltender Jared Coreau turned aside 31 shots. It may be across the country from their family, but Woodmen Edition area natives Ben and Josh Holmstrom are happy they chose to play NCAA Division I men’s hockey for UMass Lowell. Ben took advantage of his four years to develop a promising professional career which young brother Josh hopes to emulate. After fielding some offers from other schools, a season-ending knee injury left only the River Hawks interested in offering Ben a full-ride athletic scholarship. “That made it an easy choice,” he said. It proved to be the right one for Ben, 25, who served as a three-year captain for the River Hawks, before graduating and moving on to the professional ranks. That journey paid off with seven games with the Philadelphia Flyers spread out over the last two seasons, making him only the second Colorado Springs native to reach the NHL. Former North Dakota standout defenseman David Hale was the first from the Springs to reach the bigs but has since retired. Ben and Hale played in what is now the Colorado Springs Amateur Hockey Association and its club team, the Pikes Peak Miners, while Josh, 23, played with the Colorado Rampage and Denver-area Colorado Thunderbirds. The brothers went on to play for the Sioux Falls (S.D.) Stampede of the Junior A United States Hockey League before moving up to Lowell. Both players continue to work hard and improve as much as they can, taking advantage of playing in what they consider the toughest hockey leagues in Division I; Hockey East, which includes Boston College, winners of three of the last five national championships, and Boston University, which won in 2009. But little prepared him for the day he got the call from the Flyers the morning of March 3, 2011 and had to travel from upstate New York to Philadelphia for a game that night after two players were too sick to play. He got in two NHL games during the 2010-11 campaign and another five last season. Josh is on his way to a professional career as well, serving as an assistant captain as a junior, garnering all-league academic honors (3.6 grade point average) and recording the primary assist on the game-winning goal at No. 19 Colorado College last weekend. Josh is enjoying being part of the proud program’s resurgence. The River Hawks surprised most of the experts by making the NCAA Tournament last spring in Bazin’s first season. They are a preseason pick to place second this season behind BC. It’s that kind of attitude that helped Ben go from a junior player with a knee injury to the NHL and his second year as captain for the American Hockey League’s Adirondack Phantoms, only a step below the Flyers. If the NHL lockout ends, the 2009-10 Hockey East Best Defensive Forward Award-winner will likely be a quick call-up to Philadelphia. It’s an example Josh plans to follow to the pros just as he did when he took up ice hockey as a youngster watching his older brother play in Colorado Springs. No. 19 Colorado College ran into a good defensive team in No. 10 UMass Lowell an was unable to break through in a 3-1 home loss to the Hockey East’s River Hawks. UML junior center Joseph Pendenza scored on a rebound off a hard shot by Josh Holmstrom to put UMass Lowell up 2-1 with 12:49 left in the third period. Holmstrom’s shot from the left faceoff circle bounced off CC goalie Josh Thorimbert’s leg pads to the right circle, where Pendenza was alone for the uncontested shot. Stephen Buco added an empty-netter with 29.8 seconds left for the final margin. It was a big homecoming of Colorado Springs native Holmstrom before an announced crowd of 7,301 at Colorado Springs World Arena. Colorado College (3-1) had its chances with a power play late in the third period but only two shots ended up on net against a good River Hawks defense. UML blocked 18 shots, including one on CC’s final rush up ice, and kept their stickblades in the CC passing lanes, slowing down the Tigers in transition. “They did that very well,” CC senior Andrew Hamburg said. CC sophomore defenseman Aaron Harstad’s shot from between the circles through traffic clanged in off the left post to tie the game at 1-1 with 6:35 left in the second period to set up an exciting third period. The goal was set up by William Rapuzzi and Alexander Krushelnyski who passed around the UML zone out to the blue line where Harstad took the shot. It was one of the few shots to get through the River Hawks defense. CC trails in shots on goal 25-18, after UML out shot the hosts 11-6 in the first period. CC goalie Josh Thorimbert put in a strong second period recording 13 saves, five in the first four minutes, while making a glove save with 3:06 left that kept the game tied. He finished with 36 saves but was outplayed by junior netminder Doug Carr, who recorded 27 stops and made a number of big saves off rebounds to frustrate the Tigers. The Hockey East member River Hawks (1-1-1) were also quick to collapse on their net, denying openings for shots. Lowell freshman Ryan McGrath beat three Tigers to the puck at center ice and pulled away from the two CC defensemen to generate a breakaway that he cashed in from short range against Thorimbert for a 1-0 lead for the visiting River Hawks. UML dominated play for much of the first period and showed plenty of speed to handle the Olympic-sized sheet. Despite that, CC came close to scoring, but Carr made a huge glove save on a rebound attempt by Rylan Schwartz with 8:23 left to preserve the 1-0 lead. Colorado Springs native Josh Holmstrom, a Doherty High School graduate, is an assistant captain for the River Hawks. 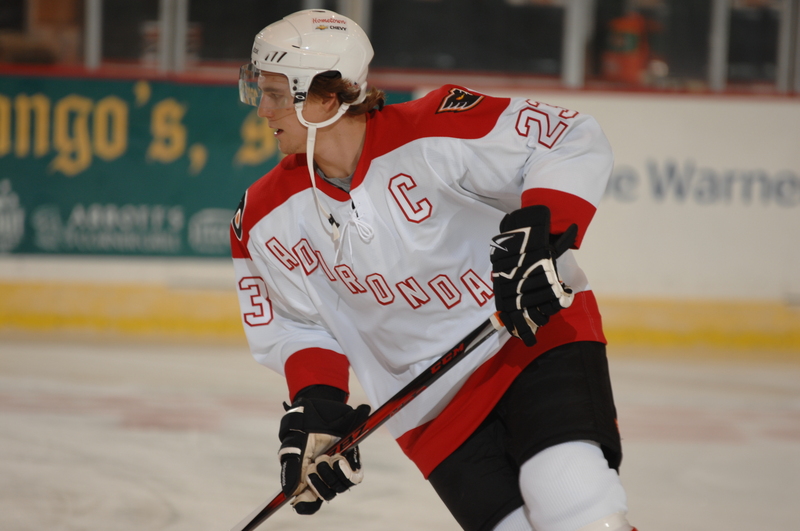 His older brother Ben Holmstrom was a captain ay UML and is in his second year as captain of the AHL Adirondack Phantoms where he is teammates with former CC captain Mike Testwuide and former Maine defenseman Jeff Dimmen, also of Colorado Springs. … UML was picked to place second in Hockey Eatst behind defending champion Boston College by league media and coaches… UML head coach Norm Bazin and associate head coach Jason Lammers, both former CC assistants, were joined this season by UML alumnus and volunteer goalie coach Dwayne Roloson, a 16-NHl veteran who reached the 2006 Stanley Cup Final. … With the loss, CC is now 7-4 all-time against UML. …. Thorimbert recorded college win No. 20 on Friday. First period – 1. UML, McGrath (Amlong) 10:27. Penalties – none. Second period — 2. CC, Harstad (Rapuzzi, Krushelnyski) 13:25. Penalties – UML, Amlong, tripping, 4:23; CC, Marciano, roughing, 7:43; CC, Collett, roughing, 7:43; UML, Wetmore, roughing, 7:43; UML, McGrath, roughing, 7:43; UML, Ruhwedel, slashing, 14:04. Third period –3. UML, Pendenza (Holmstrom, White) 7:16; 4. UML, Buco (unassisted) 19:30 (EN). enalties – UML, Pendeza, holding, 16:10. Power play – UML 0-0, CC 0-3. Shots on goal – UML 11-14-14 – 39; CC 6-12-10 – 28. Saves-minutes – UML, Carr 6-11-10 – 60:00; CC, Thorimbert 10-14-12 – 58:49. Referees – Dreger, Mousseaux. Linesmen – Keltie, Swiader. Attendance – 7,301. Here is a fan’s take on CC and Wisconsin. North Dakota junior goalie Clarke Saunders is profiled. UND is No. 2 behind Minnesota in the USA Today/USA Hockey poll. 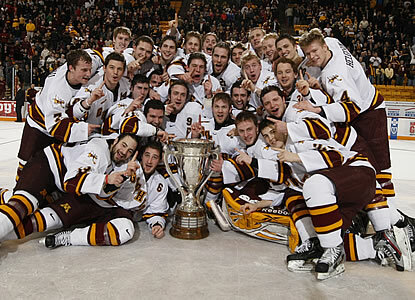 Here is my 3 Things blog about last weekend in the WCHA for USCHO. Clarkson can take heart in its good showing on the road in Colorado Springs according to this ECAC weekend review. Atlantic Hockey enjoyed a strong opening weekend. Notre Dame’s goalie had a .962 saves percentage this past weekend, among other CCHA notes. Here is more reaction to Northeastern’s big opening week. 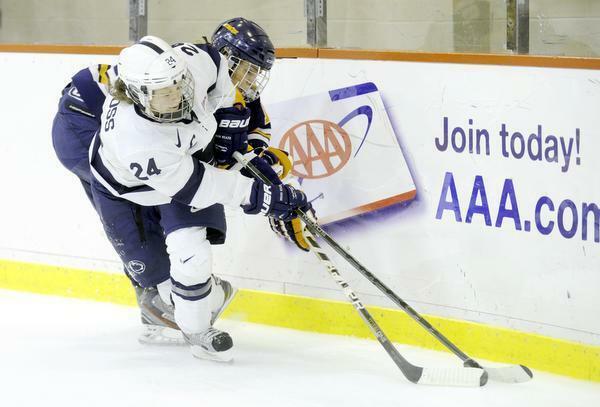 Penn State got its first Division I men’s win on Saturday. A former Merrimack coach succumbed to throat cancer recently. Here is the conference season preview I wrote along with colleague Tyler Buckentine, who is based in Minnesota. Michigan Tech lost 4-2 at Lake Superior State on Thursday, something Tyler and I both predicted. We also picked MTU to win at home Saturday night against the Lakers. Here are the rest of the weekend’s picks. Alabama-Huntsville needs to show it can compete in the WCHA and fill its arena with WCHA commissioner Bruce McLeod coming South to watch Minnesota State at the Chargers this weekend. Nebraska-Omaha, North Dakota, St. Cloud State and Wisconsin. Here is this weekend’s schedule, courtesy of the WCHA. Michigan Tech lost at LSSU 4-2 Thursday night.